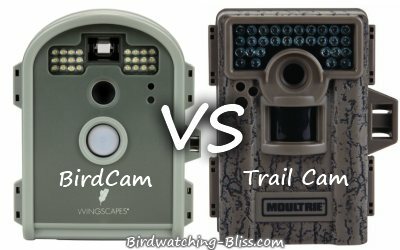 Wingscapes BirdCam vs Trail Camera Review - Which Is Best? 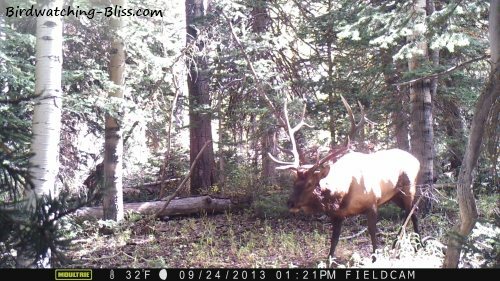 BirdCam vs Trail Camera - Is There a Difference? Which Is Best? 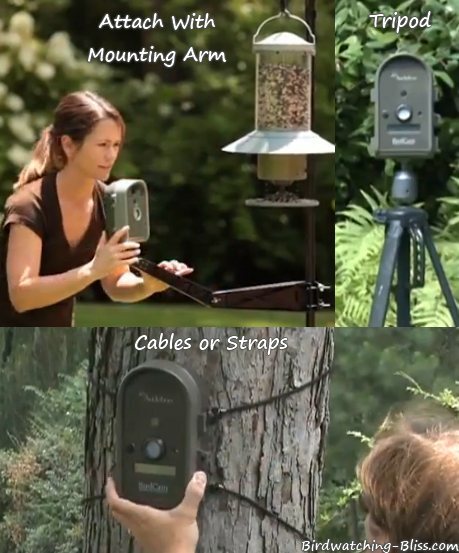 We wanted to know if there is any difference between a trail camera vs a Wingscapes BirdCam when it comes to capturing photos or videos of birds either in front of a backyard bird feeder bird bath, bird house or really anywhere you can set up an automatic, motion-triggered wildlife camera. 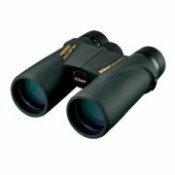 This came about because when searching and comparing for these type of cameras, there are many wildlife game cameras, but only a few that are specifically designed and marketed for bird watching. Wingscapes, for example, specifically states that trail cams will not work on small birds because they are meant to capture photos of large animals, not small songbirds. Here is a photo of a dove that was captured by the Moultrie Trail Camera at a distance of about 3-4 feet away from the feeder. Note: All of the photos have been reduced for faster page load. The Moultrie Game Camera can take 8 mp photos up to 3840x2160 in size. We left our Moultrie Trail Cam over the weekend at one of our favorite hiking spots to see what the camera would catch walking by. We had photos of bull elk, a very close-up cow elk and a few photos of mule deer. I would say the close focus is pretty darn close! The cow elk from above undoubtedly had this bull elk below in tow. The infrared nighttime photos we got from our backyard were very clear. The mule deer love our strawberry patch, apple tree and even less-than-choice tomatoes left behind in the garden from the summer. I am currently testing different adjustments so I can fine tune the settings for smaller birds like warblers, vireos, finches, chickadees, etc..
We left our trail cam on the National Forest, attached with a Python Security Cable. We purchased the Moultrie M-880 Low Glow Mini Game Camera because despite its low price, it has many features that the more expensive trail cams have. We didn't need or want anything to fancy. We just wanted to be able to take photos of birds and animals in our backyard as well as leave it at places we like to hike on the National Forests. It was also almost $60 cheaper than the BirdCam. But can it do dual-duty and take awesome photos and videos of large animals as well as small songbirds? 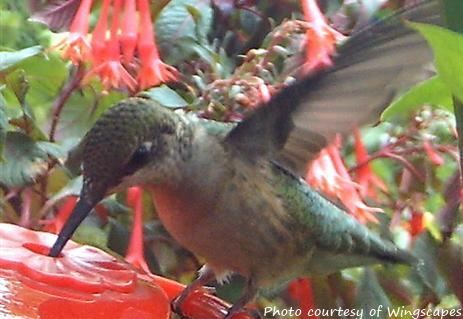 The senor may not be sensitive enough on the Moultrie game camera to pick up hummingbirds. I'm in the process of determining the close focus distance. Recently, I tried to take photos of juncos feeding on the ground. The only birds that were in focus were approximately at a 2-foot minimum distance. Any bird that was closer than 2 feet were not in focus. As you can see from the cow elk photo, she was within inches of the lens when the photo was taken. But so far, none of the small birds have been in focus this close. It may be just that with the birds' quick movement, they are blurred. I still will continue to try different settings and see how it goes. I'm also waiting on a response from Moultrie if they can tell me the exact close distance focus since it is not listed in the product details. Most trail camera use is for larger animals in farther-distance shots, so close focus is really not a feature people are looking for in these cameras. I contacted some of the bigger, more popular manufacturers of trail cams and asked them if any of their trail cameras were capable of taking photos and videos triggered by small birds at short distances. Below are their responses. "We did not test our RCX Trail Cameras for that purpose, but they all have adjustable sensitivity to LOW, MEDIUM, HIGH, and SUPER HIGH. In my experience, super high is too sensitive for almost any purpose unless you want 500 pictures of leafs fluttering an a light breeze. What I am trying to say with that is that one of those 4 settings should have no problem activating the RCX for a small, bird-sized object. As for the focus, you can use the controller that comes in the Kit version to preview the image so that you can position it for the best effect." "Our Natureview HD Max Camera will not only fit your requirements but will exceed. The NatureView HD Max will focus to 10” and be more than reliable with triggers on birds, as that is what this line is designed for. You will also get the option of interchangeable lenses to customize the Focus of the camera, plus all of the features and tuning settings our Trophy Cams are famous for including, 1080p HD Video, Full Sensitivity control of the sensor, full LED brightness control, intervals etc. The list is long!". "WingScapes is our sister company and they are correct. A game camera can take bird pictures but you cannot get up real close to them like the WingScapes bird camera can. I have Game cameras but would never use them for bird photos. I always use my WingScapes camera for my birds. 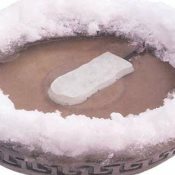 Great for my Hummers and I love putting it on a nest." "The trail cameras that we sell trigger at much greater distances - they are used primarily for larger wildlife such as deer, and also for security at remote locations. 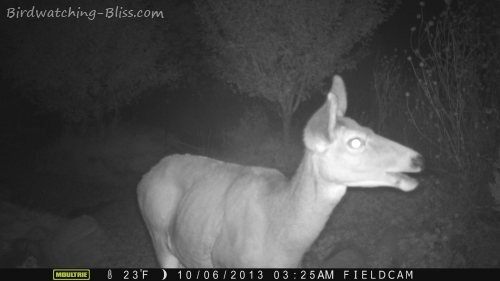 I have a good friend that has installed a couple of small webcams in feeders, with great success. He uses image capture software for still shots." So as you can see, Leupold said their RCX trail cameras should have no problems taking photos of birds and Bushnell says their Natureview camera is even better with trigger sensitivity. But I find Leupod's RCX models with lots of bad reviews and Bushnell's Natureview Cam close focus is further out at 10" vs BirdCam's 6". Plus, the Natureview is $50 more than the BirdCam. As Optics Planet mentioned, you could also use a webcam for capturing video of birds, but I find this less than ideal because they are not really meant for taking bright, outdoor photos; their resolution isn't very high and they're not weatherproof. Moultrie says game cameras are not as good as the BirdCam, but they are owned by the same company (Ebsco Industries) as Wingscapes, so of course I expect them to agree. And, in part, it's true because not all trail cameras can take short-distance photos or have the same trigger sensitivity for birds. In fact, aside from testing our Moultrie Trail Camera, I have yet to find a game camera that can take photos as close as 6" like the BirdCam can. 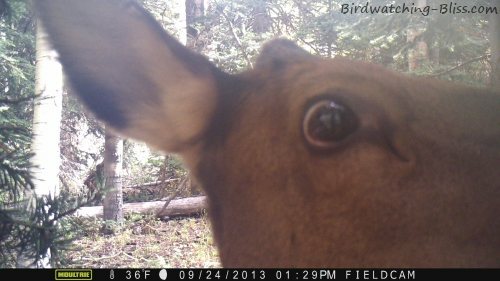 So is a BirdCam better than a trail camera or vice-versa? I'm still experimenting with the Moultrie at our bird feeders and I've been able to take some really nice photos with the exception of no hummingbird shots yet. The Moultrie has certainly exceeded our expectations with larger animal photos and videos, both day and night. I would say that yes, the BirdCam Pro is the best bird camera to take photos and video of birds at your feeders, bird houses, bird baths, etc. especially small birds at close distances. So if that will be your primary use, I would definitely suggest you get the BirdCam Pro. 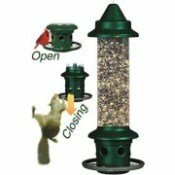 The BirdCam Pro has several mounting options including an attachable mounting arm, using a tripod or attaching with cables or straps. 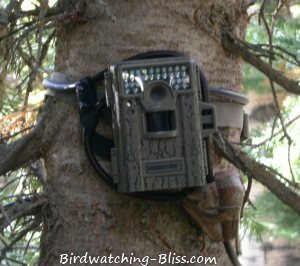 If you want the capability of taking great photos of larger animals and small birds, but don't care if you can take really up-close photos, then you may want to consider the Moultrie TrailCam or similar trail cameras. For now, though, I cannot prove whether they are capable of taking hummingbird photos due to their tiny size and perhaps not triggering the sensor. Sidenote: These cameras also double as a security cam - you may be surprised what travels through your property at night or really any time you're away!